Come join us for the PNCWA Water For People Committee’s first 5k Fun Run fundraising event! 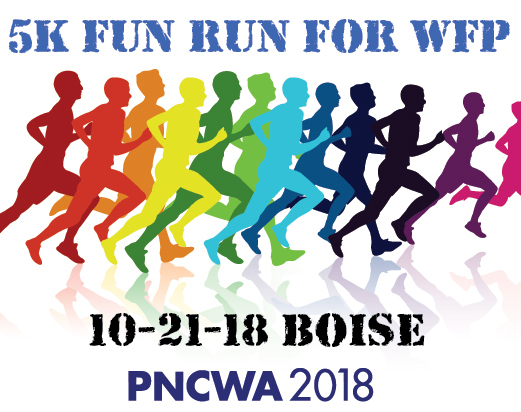 This event will literally kick start PNCWA2018, the PNCWA Annual Conference in Boise, ID on October 21stat 8:30 AM. The run will be an out and back route along the beautiful Boise Greenbelt starting and ending at the Agricultural Pavilion at Julia Davis Park, just a few blocks away from Boise Centre. Start your Sunday off with a run (or walk) and support Water For People in their mission to provide water and sanitation to everyone forever! All ages and abilities are welcome.